Kidney organoids won’t show all the ins and outs of kidney function unless they allow blood to flow in and out—that is, unless they are thoroughly vascularized. Too many kidney organoids are little more than clumps of kidney cells. Lacking vasculature, they fail to emulate the functions carried out by real kidneys, functions such as the delivery of oxygen and nutrients, the removal of metabolic waste, and the exchange of chemical signals between different cell types. In contrast, properly vascularized kidney organoids, such as those being developed at Harvard’s Wyss Institute, are better able to emulate the functions of mature kidneys. A team of scientists based at the Wyss Institute is culturing kidney organoids under flow on millifluidic chips. Ordinarily, kidney organoids, which are derived from human pluripotent stem cells, have glomerular- and tubular-like compartments that are largely avascular. Also, they remain immature in static culture. Adopting a more dynamic approach, the Wyss team is exposing stem cell-derived organoids to fluidic shear stress. The Wyss team, led by Jennifer Lewis, ScD, and Ryuji Morizane, MD, PhD, reported that this approach significantly expands organoid-derived vascular networks. In addition, it improves the maturation of kidney compartments in comparison to previous static culture methods. Recently, researchers around the world have matured kidney organoids by implanting them into animals where they can connect to the host’s vasculature in vivo. “For the first time, our study demonstrates that by exposing growing organoids to fluid flow, a mechanical cue known to play an important role for tissue development in the body, we can greatly enhance their vascularization and maturation in vitro,” said Morizane. 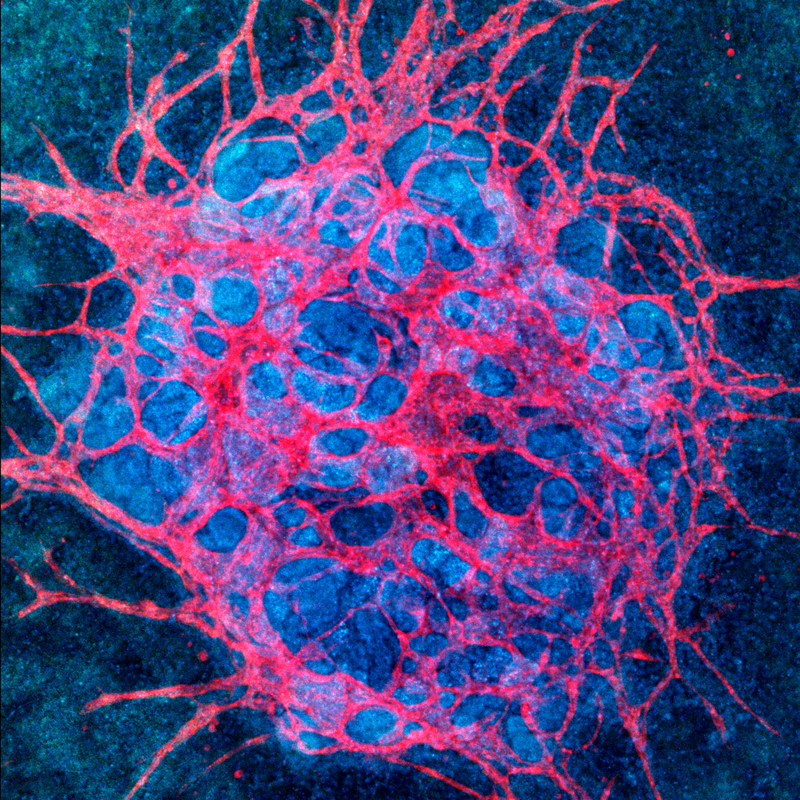 “We determined the right combination of underlying extracellular matrix, media additives, and fluidic shear stress under which human stem-cell derived organoids would flourish when grown in our 3D-printed millifluidic chips,” said Kimberly Homan, PhD, who with Navin Gupta, MD, is a first author on the study. Robustly vascularized kidney organoids better emulate key kidney functions in vitro, including blood filtration, reabsorption, and urine production. Such organoids, the Wyss team noted, could enable better modeling of kidney diseases, enhance renal drug toxicity testing, and ultimately lead to new building blocks for renal replacement therapies. The Wyss team also anticipates that its approach could be used to develop other types of organoids, including liver organoids.